Currently out of stock, please allow 10 days for delivery. Canna Botanics™ Natural CBD Oil is an unflavoured dietary and nutritional supplement for increased health and vitality. Our CBD oil has a light natural hemp taste and aroma you will barely notice. 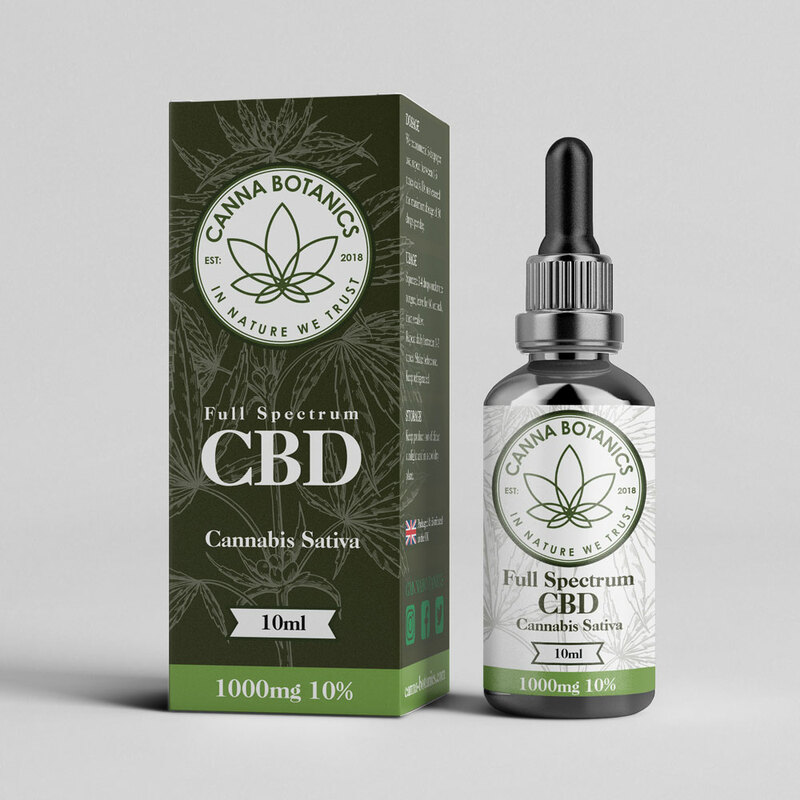 Canna Botanics™ is your best source for premium quality full spectrum CBD products grown organically in Europe, all containing high levels of Cannabidiol (CBD) as well as other vital Cannabinoids, CBDV, CBDA, CBG, CBN, CBC plus Terpenes, Terpenoids, amino acids and Omega 3, 6 and 9 infused with the finest organic hemp seed oil. When choosing potency (500mg / 1000mg), it’s best to start low and gradually increase dosage until you get the desired result. Take 3-4 drops under the tongue, leave for 60 seconds, then swallow. Repeat daily between 1-3 times. This product is fantastic! I have been using it for a couple of weeks now and am starting to feel the benefits of it treating my anxiety and to get a much sounder night’s sleep. I have been using 3 drops of the 10mg strength in the morning and 3 drops of the 5mg strength in the evening which is working out pretty well. I’d heard about CBD from my friends banging on about it. After doing some research into it I found people saying it was good for all kinds of things so I purchased some a couple of weeks ago. My main reason was for anxiety which was leading to bad nights sleep. Literally the 1st night I tried it I slept like a log uninterupted and since then have felt great, not just in a morning but generally in myself. I’ve since heard it’s good for skin problems so I cant wait for you guys to launch a salve! Thanks Canna Botanics! If you want to know when we add new products, have special offers, as well as news from the world of CannaBotanics, all sent straight to your inbox. Sign up below!